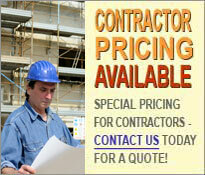 BUY ONLINE OR CALL TODAY! Freight costs are based on weight and zip code. Please e-mail or call us with your zip code and the items you want to purchase, and we can figure your freight costs before you purchase. 95% of all orders are shipped in under 3 business days. 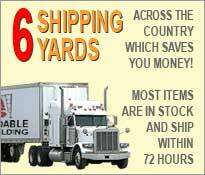 All orders are shipped by common carrier ground rates from our 6 shipping yards across the country. All orders are banded and palletized for easy handling. Expedited shipping is available. Contact Us. All shipping costs will be calculated and invoiced to you within 24 hours. This will be a separate payment from the products. Your order will be shipped upon acceptance and payment of the freight charges. All Contents Copyright. © 2009, Affordable Scaffolding. All Rights Reserved.